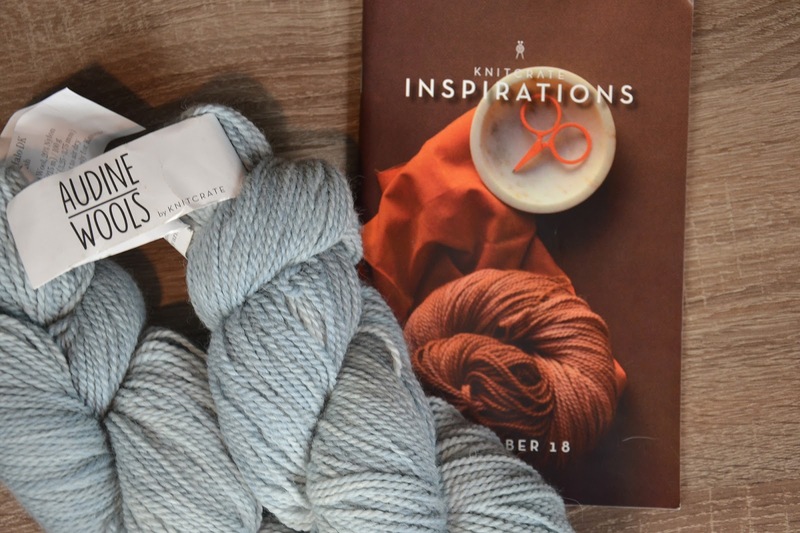 October KnitCrate Membership is suited to Fall. Verdigris is the specific name for copper’s natural, greenish patina. 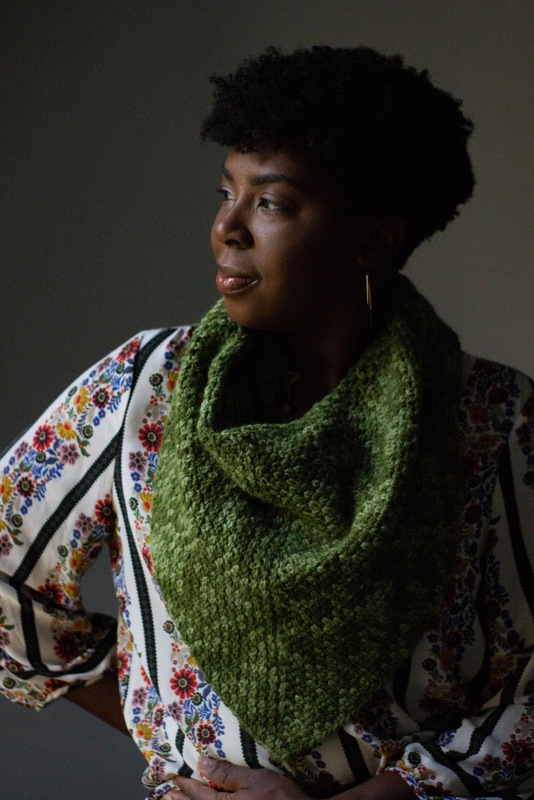 In the case of our theme this month, it’s the fading green of late fall plants. 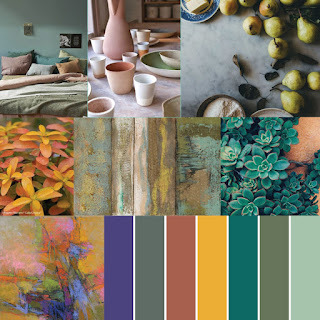 Hannah was inspired by the combination of greens, terracotta, faded peach, misty grays and gray-purples, and other colors and pulled together this mood board. 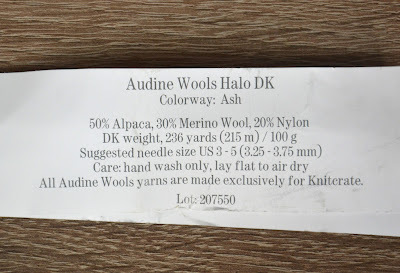 In October crate there is Audine Wools yarn: Halo DK. 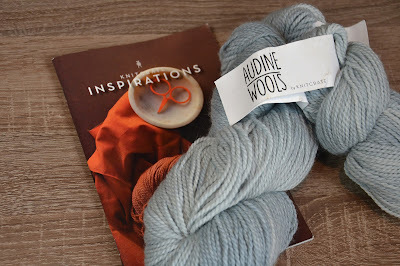 I've got 2 skeins of Ash colorway - nice neutral color. 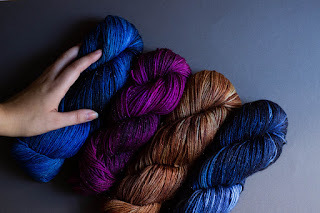 Yarn is really soft and has different tones. It looks great! 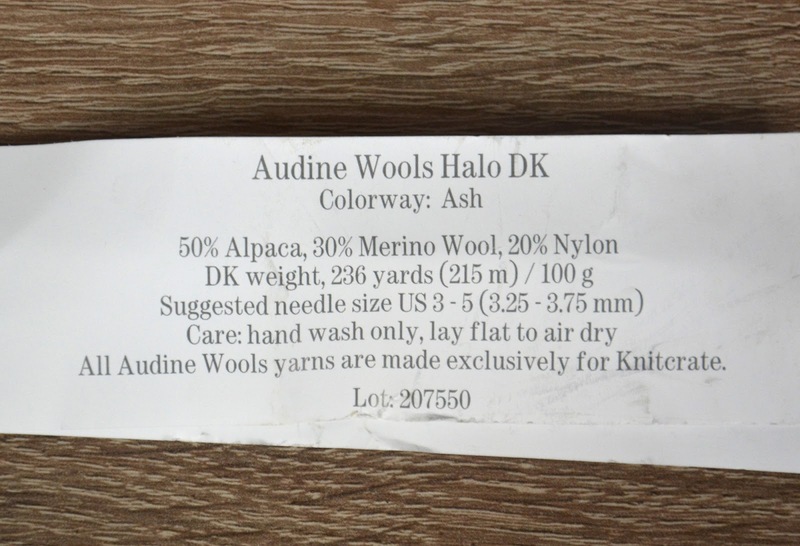 50% Alpaca, 30% Merino Wool and 20% Nylon. Yarn is a two ply. Each skein has 236 yards. KnitCrate Membership subscription offers you 2 skeins, 2 patterns (1 crochet and 1 knit) for only $24.99 per month. And you can cancel the subscription anytime you want. 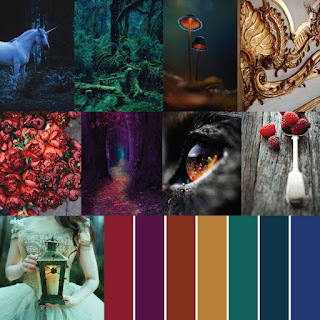 Shipping is free worldwide, so I encourage you to try. What's new – I got the crate not in the typical green box but bobble envelope. 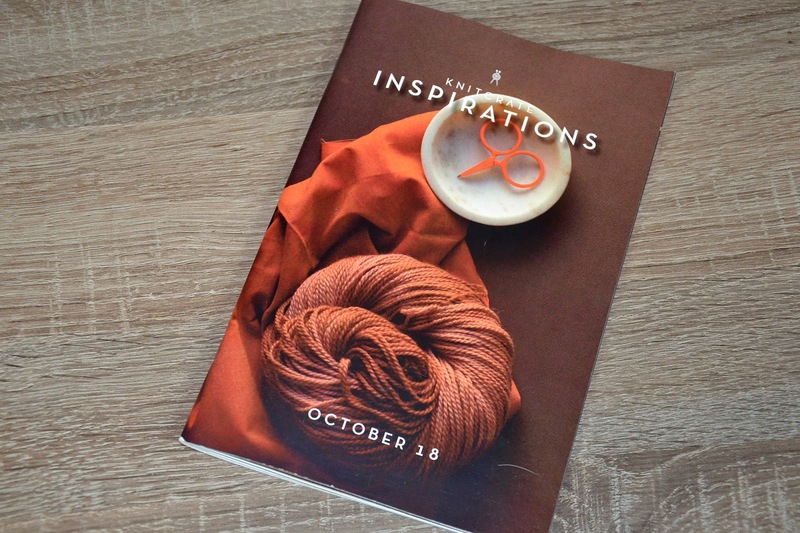 That's because KnitCrate put the magazine inside the package. 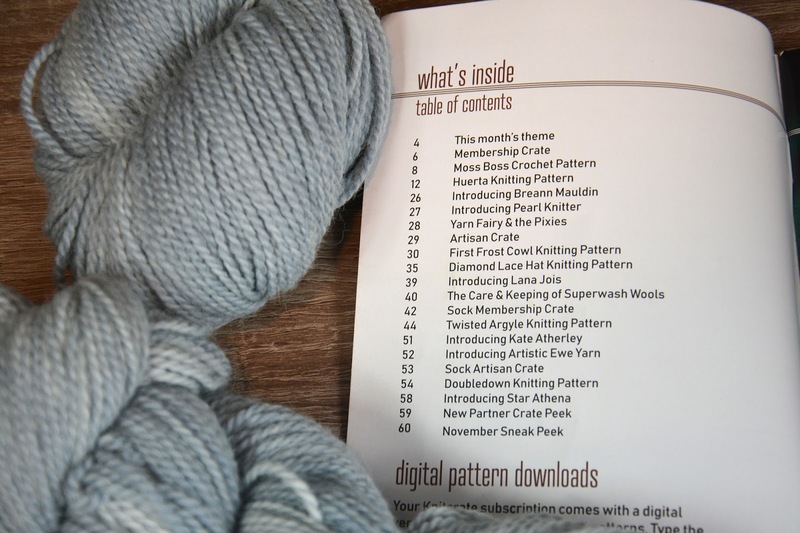 Magazine includes information about each crate and yarns and you find all the patterns here. So you can read printable patterns but if you want to download digital patterns, you get link below the Table of Contents. 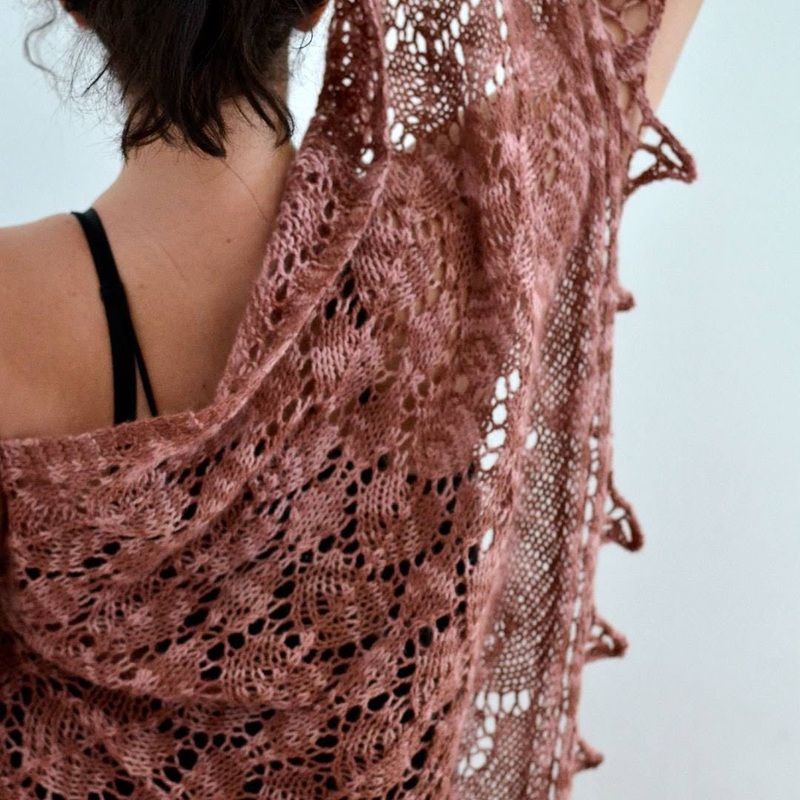 I'm going to knit this beautiful leaf-lace shawl (if I manage to do it). 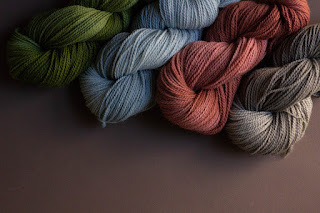 I know that all the October crates were sold for new subscribers but you could get on the WaitList, so that is the best proof that KnitCrate yarns are worth trying and buying. It is good brand.